Dr. Michael Balikyan at Sherman Oaks Smiles practices State of the Art Cosmetic and Restorative Dentistry, as well as Child and Family Dentistry. 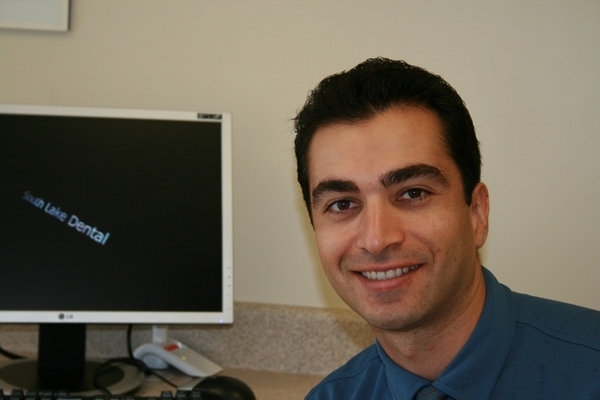 Dr Balikyan prides himself with his skill and artistry in cosmetic and restorative dental work. Dr. Balikyan is dedicated to Patient Care by providing a comfortable, stress-free, painless dental experience where he listens to patients’ concerns, takes his time to educate patients, explain dental procedures and treatment plan options. Dr Balikyan is a very compassionate, friendly, caring person and that becomes apparent in his gentle, soothing, and precise dental work. Communication and building relationships with our patients is a key element of Sherma Oaks Smiles philosophy.